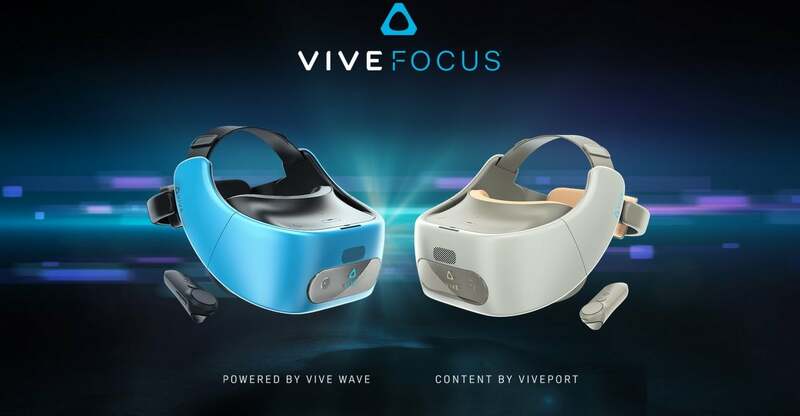 HTC announced today that the HTC Vive Focus VR headset will soon be made available for purchase outside of China. The HTC Vive Focus VR headset is one of the few stand-alone virtual reality experiences. While many systems require other systems to function, the Vive Focus is unique in that it provides an untethered experience that doesn’t require additional technology. The developer kit for the HTC Vive Focus VR headset is available now via the HTC dedicated portal for all registered developers in the majority of countries in order to help content creators get started on the game creation process for this new VR experience that is coming to the west for the first time. However, it’s important to keep your expectations in check. The HTC Vive Focus VR headset won’t have the same sort of graphics as the existing Vive and Vive Pro sets that are available for PC. While it’s a step up from options like the Samsung Gear VR headset, it lacks the horsepower to deliver the same sort of experience you would get from a VR headset combined with a capable gaming PC. This is to be expected, and the HTC Vive Focus VR headset is still shaping up to be an exceptional performer – especially considering you don’t need any additional gear to get started. As a self-contained unit without any wires to hold you down, you’ll be able to take your VR experience on-the-go and jump into an immersive world whenever and wherever you find the time. While the HTC Vive Focus VR headset doesn’t have the same sort of graphical dominance that their existing models demonstrate, it is unique in that it offers six degrees of freedom. With the ability to move left, right, up, down, and backward, you’re able to move around without worrying about bumping into walls or furniture. One main complaint of a lot of people who are just starting to experience VR – and even some industry veterans – is the disorientation that completely dominating your field of view can provide. With the HTC Vive Focus VR headset, that should be less of an issue and you’ll be able to move around at will as you explore the titles that are sure to be developed. As far as technical specifications go, the headset takes advantage of the Qualcomm Snapdragon 835 processor – the same one that has gone into a lot of recent high-end mobile flagships. With a single AMOLED screen boasting an impressive 2880 x 1600 resolution, you should experience a gorgeous display that doesn’t fall too far short of the device’s big brothers. The HTC Vive Focus VR headset also features a built-in microphone, a 3.5mm audio jack and built-in speakers, a rechargeable battery, and a Micro SD card slot that supports an impressive 2 TB of storage. The Vive Focus is currently only sold in China and is priced at $680 for the Electric Blue model and $632 for the Almond White. Unfortunately, we currently don’t have any word on release dates or pricing for areas outside of China.